JioPhone was launched in the last AGM of Reliance Insdustries Limited, with Chairman Mukesh Ambani promising to deliver cheaper data to all through this device. JioPhone can now be pre-booked, starting today, and the hype train seems to be going full-steam. The Jio website has been swamped with visitors looking to get their hands on the first ever 4G feature phone online within the first few minutes since pre-bookings opened. This haste can be justified as the JioPhone will be available on a first come, first serve basis. 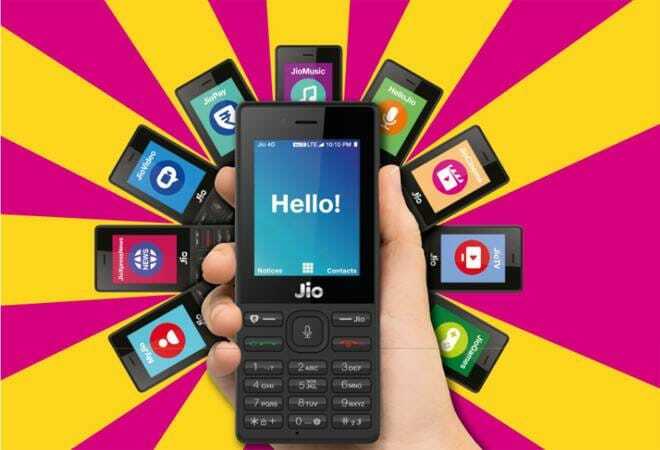 The JioPhone can be booked online - through the Jio official website or the MyJio application - or offline at Jio retailers or multi-brand retail outlets. JioPhone was launched in the last AGM of Reliance Insdustries Limited, with Chairman Mukesh Ambani promising to deliver cheaper data to all through this device. The beta-testing of the handset began from August 15 where Jio gave the device to its employees for identifying technical problems to be rectified. The JioPhone will be available for an effective price of Rs 0, but a refundable security deposit of Rs 1,500 has to be paid. The JioPhone can be booked online on the official Jio website or the MyJio app for a sum of Rs 500. Users will have to provide a Jio number and delivery PIN code. Once through, you will move to payment options. Later a booking ID will be generated which has to be shown to the retailer at the time of purchase. The sum of Rs 500 charged at the time of booking will be adjusted against the security charges of Rs 1,500. The rest of the Rs 1,000 will have to be paid at the time of delivery, though. The Jio retail stores or multi-brand retail devices can be visited for pre-booking the JioPhone offline with an Aadhaar card. Some retail stores reportedly had begun taking pre-orders even before August 24. The online channels for pre-booking the JioPhone are expected to face some increase in traffic, as seen on the first day today. The three-step registration will be easier than going to a store, which even might have lines in front of them, last seen at the time of rollout of Jio 4G networks. With pre-bookings open on first come first serve basis, online will be faster option to go about it, given that the Jio website and MyApp do not quiver under the pressure. JioPhone is the first ever 4G feature phone ever to be made. The handset comes with a 2.4-inch, and an alphanumeric keypad under it. The phone works on KaiOS. It does not have a camera or the popular applications like Facebook, Youtube, WhatsApp or such which are usually found on smartphones. The phone, however, promises a 4G internet connection. The JioPhone also comes with the usual of Jio. The JioTV app can even be streamed on any television set using a proprietary cable bundled with the phone. The phone offer 4G speeds for a pack of Rs 153 or smaller packs of Rs 53 and Rs 23.